Dr. Taylor, as he was known to one and all, was a first-rate jazz pianist who grew up in Washington and was a graduate of Dunbar High School. He moved to New York in the early 1940s and was present at the birth of bebop, the new vernacular of music that transformed jazz. He played alongside Charlie Parker, Dizzy Gillespie and Miles Davis and became a protégé of the greatest jazz pianist ever, Art Tatum. In the 1950s, Dr. Taylor began to branch out into broadcasting with a television series, The Subject Is Jazz, and with radio programs. He appeared on CBS over the years, particularly on CBS Sunday Morning, interviewing and performing many of the great artists in jazz. Dr. Taylor — who really did earn a doctorate in education, by the way — had been the artistic adviser for jazz programming at the Kennedy Center and was a constant presence at concerts at the center. He often performed with his own trio and other groups and helped make the Kennedy Center one of the most important venues for jazz in America. He launched the annual Women in Jazz Festival at the Kennedy Center and was instrumental in developing other concert series. For several years he was the host of an NPR series Billy Taylor's Jazz at the Kennedy Center, and many people considered him the foremost jazz educator of his — or any — time. 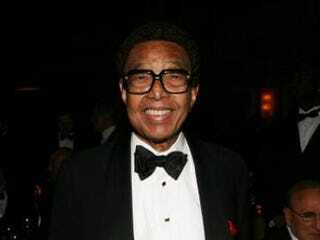 Editor's note: Check back later on The Root for an appreciation of Billy Taylor.